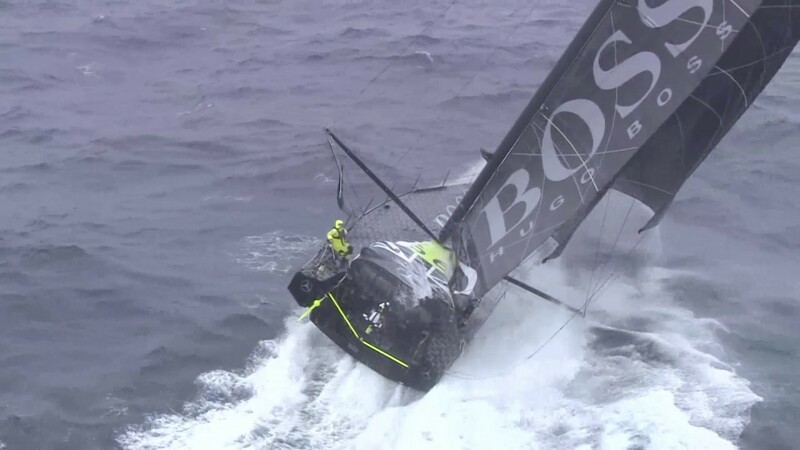 Ocean racer Alex Thomson rockets through the remote Southern Ocean. This was the first time that boats racing in the Vendee Globe were filmed this deep into the South Pacific, one of the most remote locations on Earth! The Vendee Globe is one of the most challenging sailing races in the world. It’s sailed in cutting-edge race boats called IMOCA 60’s, which are crewed by just ONE person, alone, all the way around the world! The skippers are expert solo sailors, and must balance hard racing with sleeping and eating. They go non-stop for the entire race, which takes over 70 days and 40,000 miles to complete! Think you could take on that challenge? Follow the racers HERE on the Vendee Globe website.